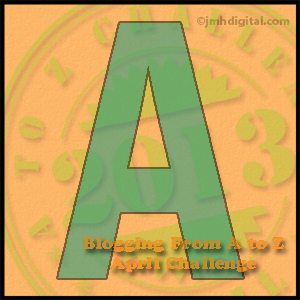 This is my first year doing the A to Z Challenge. I found out about it last year and wanted to make sure I joined in the fun this year. Though I’m struggling to figure out what to write for each letter, A come to me with no trouble. A is for Adrienne — my debut title. 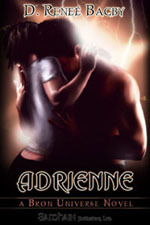 Released in 2007 with Samhain Publishing, Adrienne was proof to myself that I could do it. I set that goal and met it. Once I finished, submitted, and contracted it, I realized I could put my imagination into words for others to enjoy. Not only that. I could finish. After finishing the first title, every title after came that much easier. ‘The End’ was no longer an unattainable goal to be feared. Now ‘The End’ just means it’s time to start the next story. I might not be where I thought I would be by year five (actually, it’s six in July) of my career but I’m still loving every minute and enjoying all the stories my imagination offers. Now if I could just get a clone and figure out a way to survive without food, water, sleep, and human interaction, I might actually be able to write them all. Welcome to the challenge and good luck! Thanks for visiting. I think I’ve snagged a few readers for this book just because the book (and the heroine) is named Adrienne.